What Material Should I Use For My Kitchen Counter? When it comes time to redo your kitchen that often includes picking out new counter tops. With so many different materials to choose from, it can be a struggle figuring out which one will be the best for your kitchen. If you are looking for a modern look in your kitchen, a stainless steel countertop will do just that. It is also fairly easy to clean and coordinates nicely with any color. Glass will provide your kitchen with a sleek, clean appearance. Additionally, glass can be cut and stained into many different shapes and sizes allowing it to look great with most kitchens. Because glass is nonporous it is easy to clean and a relatively hygienic surface. Concrete countertops can be easily customized from the texture, to the color. By mixing concrete with another material such as glass or marble, this can create a unique look for your kitchen only. Talk about customization! 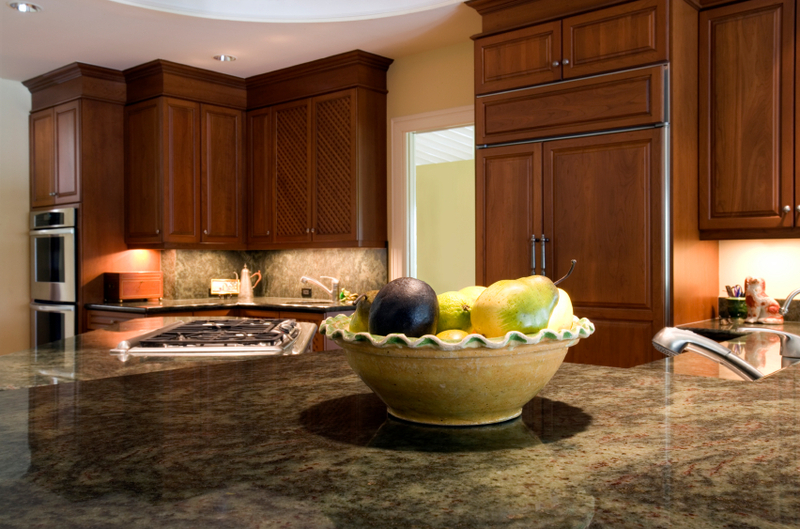 Granite countertops are one of the more popular types of countertops. The material is very durable and resistant to stains, scratches or chips. Additionally, each slab of granite is unlike any other giving your kitchen that one-of-a-kind look! There are so many different options when it comes to choosing a material for your kitchen counters that it is difficult to list all of them. Freedom Fence & Home is a Maryland based specializing in the construction of high quality fences and decks. Our fencing experts are available to answer any questions you may have and help you select the right materials and designs for your wood fence. If you have any questions about staining your wood fence, please contact Freedom Fence and Home by calling 443-271-6841 or visit our website. You can also follow us on Facebook and Twitter! This entry was posted on Thursday, July 25th, 2013	at 6:08 pm	. Both comments and pings are currently closed.